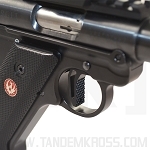 Get the best Ruger® Mark IV™ grips from Altamont Company, now available at TANDEMKROSS.com! 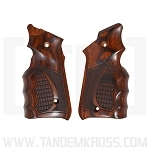 The new Ruger® MKIV™ grips from Altamont Company are not only designed with beautiful, dark wood, they are also functional, providing a highly textured surface and improved grip shape for target shooting and other shooting sports. 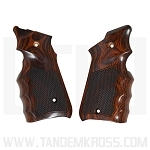 The stippled grips from Altamont Company feature highly textured wood panels for a better grip surface in any weather condition. These drop-in grips are easy to install using the factory grip screws and simply replace the factory grip panels - one of the best Ruger® MKIV™ accessories! 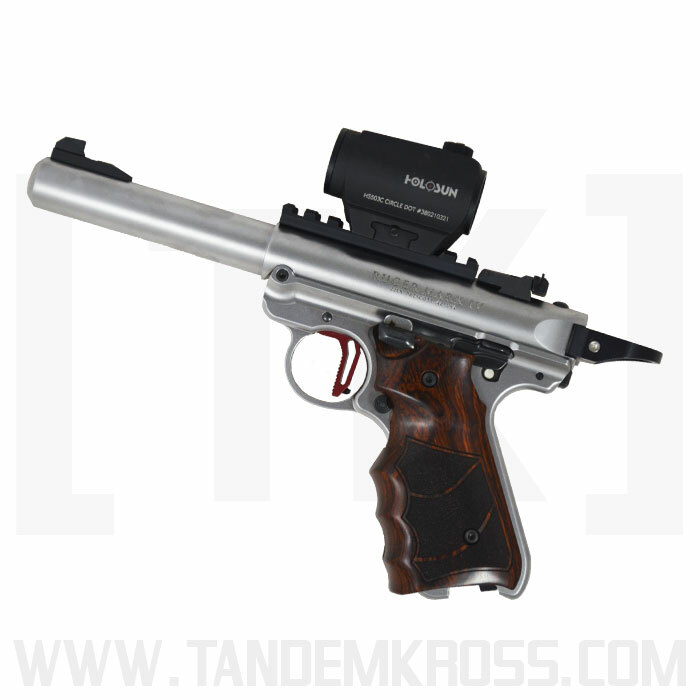 I recently bought a pair of these for my MkIV Target. They are simply gorgeous. I don't have big hands, but the stock grips were just too small and narrow for me to get a proper grip. These fit the bill perfectly. Tandemkross shipping was QUICK! 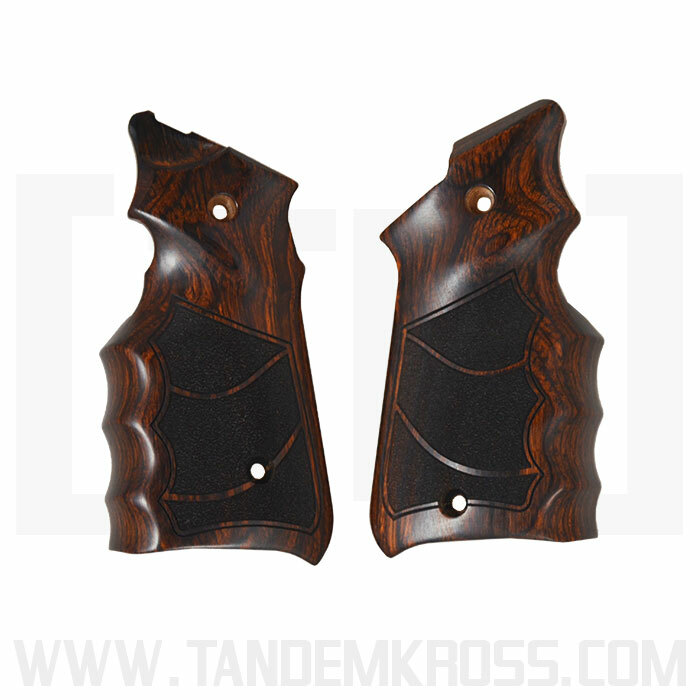 Rosewood grips were very well made.Fit perfect,except screw holes need to be modified slightly.Excellent product. These grips are really very nice. They're nice hardwood and feel good in your hand. However, as other people have commented, the holes don't line up. One hole in each grip is just a few millimeters off dead center. You are going to have to take a drill to open the hole a little bit in the grip to be able to bolt them to the gun. A little annoying. But still, they look good and feel good once you get them on. 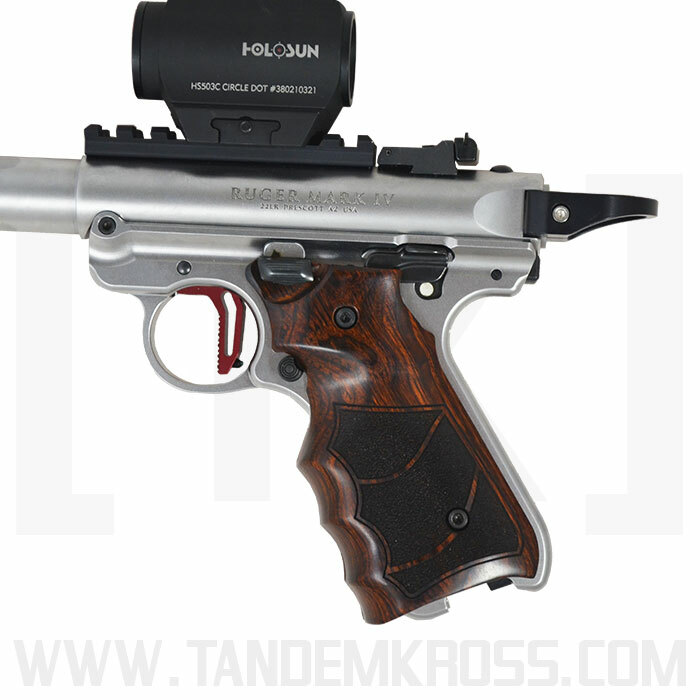 Love the grips, non slip inserts right where they are needed... gives a great hold on the Ruger MKIV! Excellent grips,well made,look great.freight to Australia about 5 weeks,a bit slow I think.